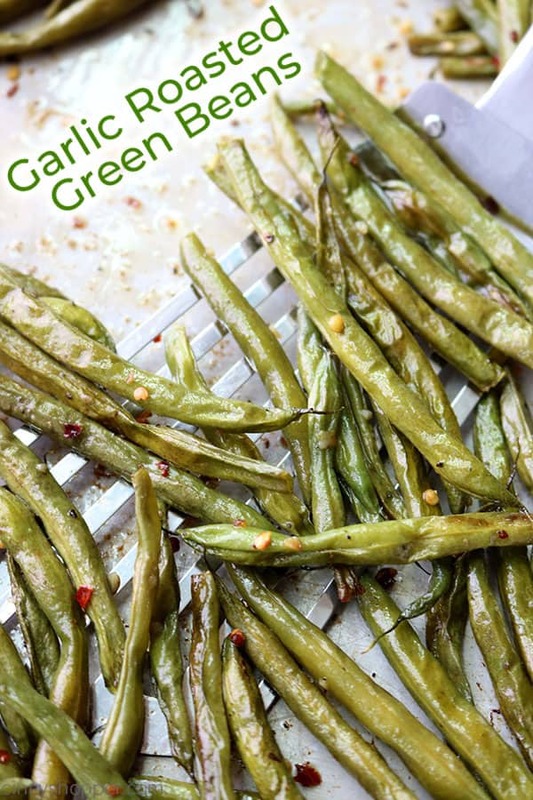 You will be amazed at how simple these Garlic Roasted Green Beans are to prepare. With olive oil, a little butter, garlic, and a few other simple spices, you can have a delicious side dish that your entire family will enjoy. Roasting vegetables is healthy and so super simple. Sure, most consider green beans quite boring. 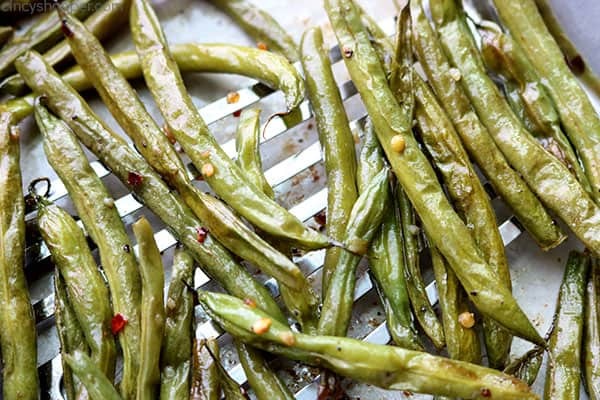 But Garlic Roasted Green Beans are full of flavor. They are great to serve alongside Simple Salisbury Steak, Parmesan Crusted Chicken, turkey, ham, or just about any meal. 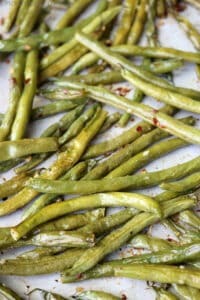 I am frequently searching for ways to make basic green beans tastier, especially for the holidays. My family enjoys the Cheesy Green Bean Casserole that I make for Thanksgiving, Christmas, and Easter. When I have time, I usually make my Southern Style Green Beans. For everyday meals, I like simple recipes that require minimum effort. 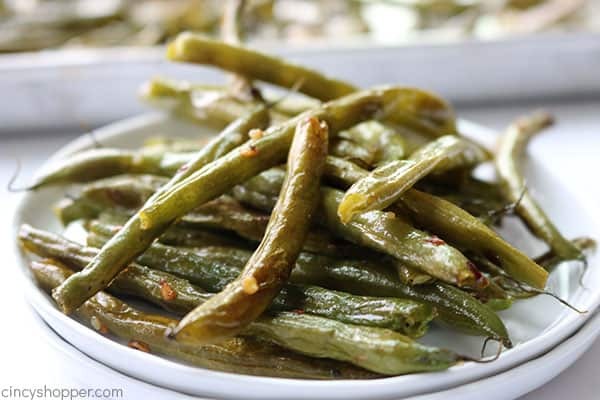 Roasted green beans with garlic are so easy to make and the entire family thinks they are the best. 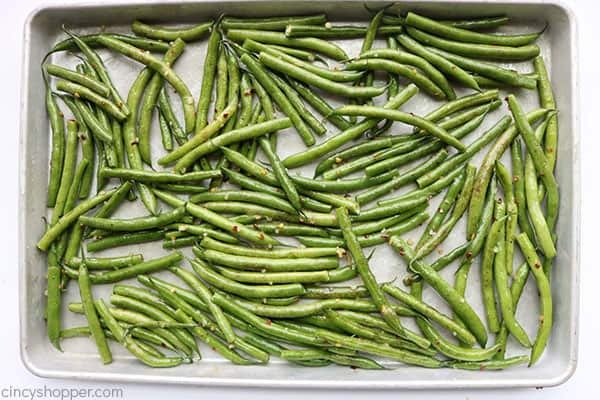 Prepping the green beans for roasting is quick. We wash the beans, then trim the stems. Next, we whisk together oil, butter, and a few spices, then add the green beans. 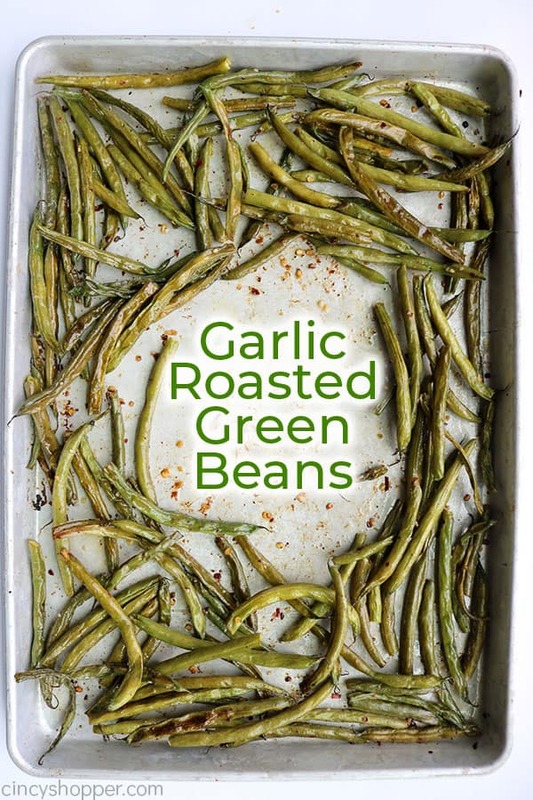 Finally, toss the beans on a sheet pan to bake in the oven. The prep is easy. I mentioned above; the ingredient list is so short and sweet. 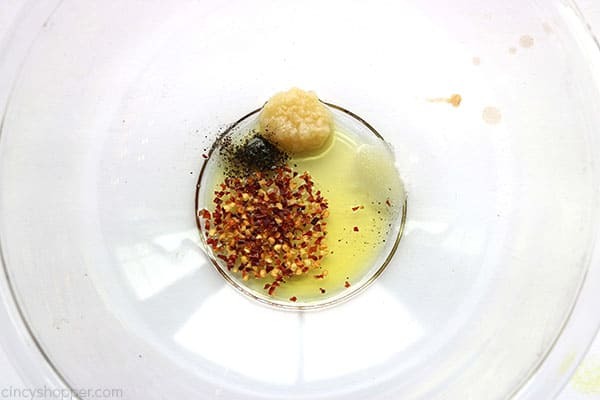 I use a bit of olive oil, melted butter, garlic, crushed red pepper, salt, and pepper. 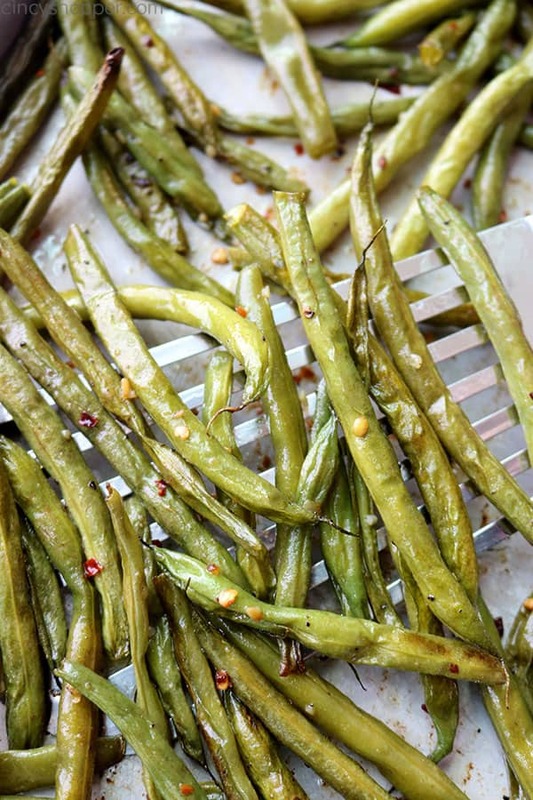 The butter gives a bit of that flavor we all expect with our green beans. The garlic roasts perfectly. The crushed red gives just a bit of spice. 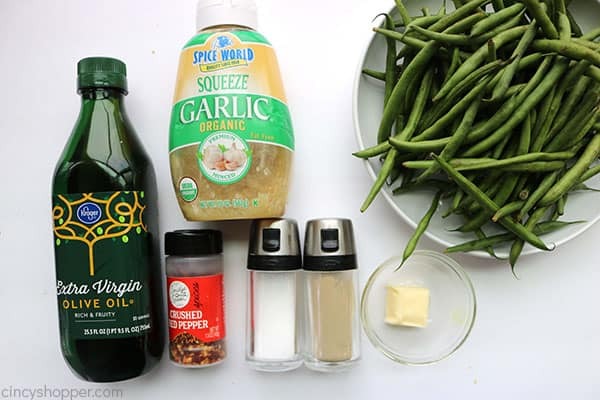 It’s impressive that simple ingredients can add so much to the green beans. 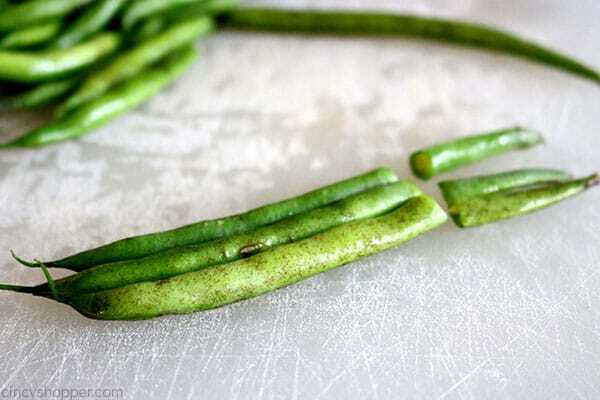 Wash green beans and trim stem ends. Set aside to dry. Place remaining ingredients in a large bowl and whisk to blend. 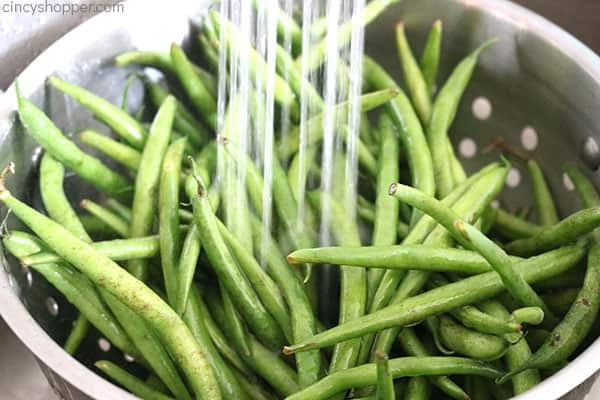 Add green beans to the bowl and toss to coat. 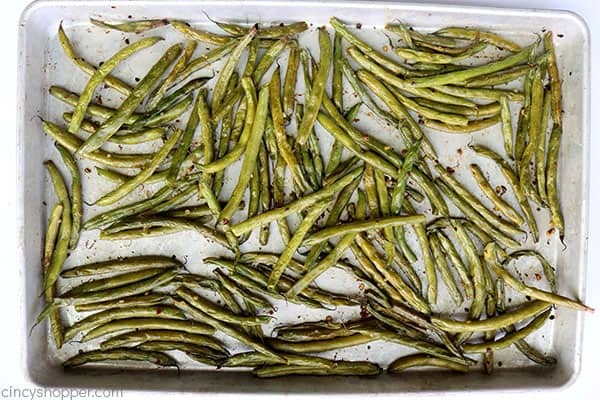 Spread beans out on sheet pan. Bake for 20-25 minutes, shaking and turning about halfway through cooking. Never trimmed fresh green beans? You can check out this video over on Youtube. Leave enough space on your pan. This will allow the green beans to roast evenly. A slight crunch is best! Roast your beans until they are slightly crunchy. If you should bake for too long, your beans will become soggy. 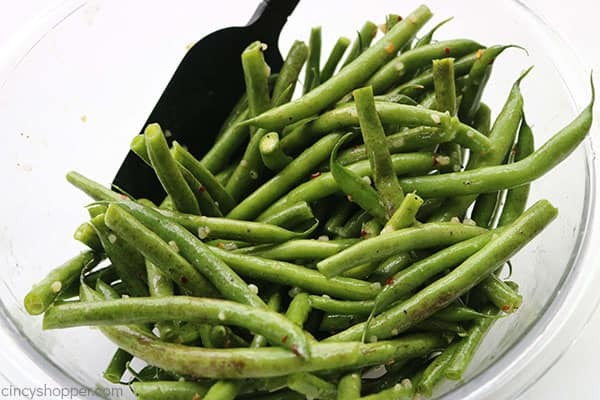 If you are not a fan of spice or looking to make kid-friendly green beans, omit or reduce the red pepper from the recipe. Consider adding bacon, parmesan cheese, nuts, tomatoes, or even mushrooms if you are looking to add even more flavor. Honey Garlic Roasted Carrots – so easy and full of flavor! The Best Mashed Potatoes – perfect side dish for holidays and every day. The Best Sweet Potato Casserole – Amazing for serving each holiday. Bake for 20-25 minutues, shaking and turning about half way through cooking.